Valet parking is available at the hotel for a fee. Street parking may be available depending on the time and day. Knightsbridge or Sloane Square are the closest underground stations, whilst Victoria is the closest rail station. The Rib Room Bar & Restaurant, Knightsbridge is an elegant setting for breakfast and lunch including their legendary Sunday Roast lunch with Red Snapper cocktail, dinner, private dining and relaxed evenings in the bar. 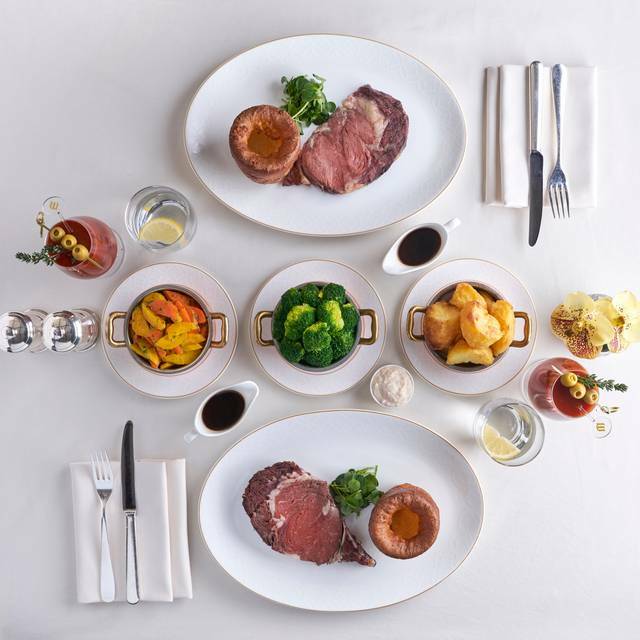 Executive Head chef Simon Young showcases the best of seasonal British cuisine, including the world-renowned roast rib of beef. 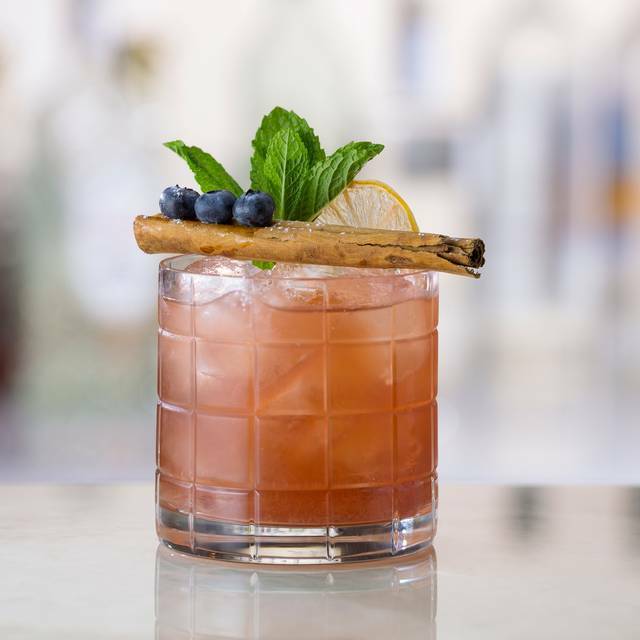 The Rib Room Bar offers an exciting array of cocktails, premium gins and bespoke bitters, alongside light bites, ideal for a quick lunch or light dinner. From a set menu. Food allergies or intolerances: please speak to a member of the team if you have a food allergy or intolerance. way gave a good vibe. Menu was interesting and I would say catered for most. 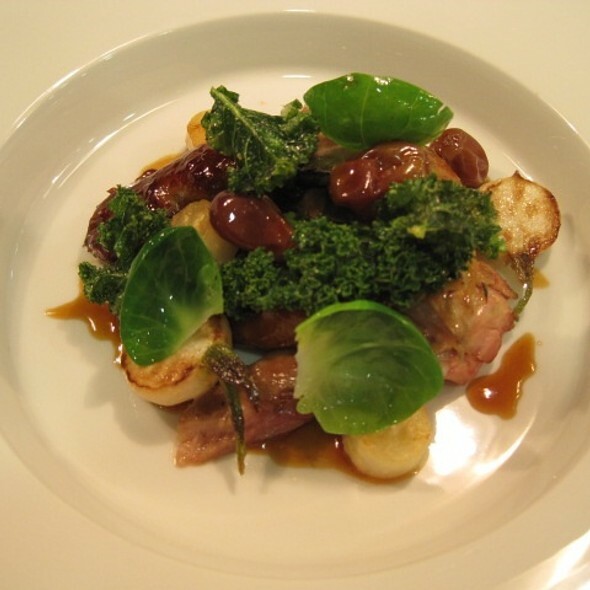 If you like fine dining, good quality ingredients with helpful staff then just book it, we will be going again. Excellent restaurant in heart of Knightsbridge and unique to London. A lovely bar, outside area and spacious comfortable table and seats. I was celebrating my friend birthday and keen to come to this restaurant as it’s so good. We had the set menu which is excellent value. I asked for a specific table which I was delighted to be given. Before our starter were given a lovely choice of breads. Our starters and main food was excellent. Fantastic choice of cocktails and wine etc . We did not have the desert but they looked equally excellent. Our waiter brought out lovely chocolates at the end of the meal. My friend was then surprised with a lovely cake with candle in it plus glass champagne. This restaurant is the best , the head waiter is excellent (plus all we have had to date). It is unique and we will certainly be back. For info the band in the background were very good and made a nice backing for the restaurant. Finally we have heard that this restaurant may close for refurbishment in September. We love this restaurant as it is so really hope there is little change and the closure will be a matter of weeks and not months . Excelled and one of the best Steak. Starter is fine, consider the pricing. Dessert was not very impressed. A great evening at the rib room. The best mocktail ever, not just a fruit juice mix. Wonderful food, perfectly cooked. Excellent service from Abdul and the team. The food and service were both great, but it was quite empty even on a Friday evening, which is a shame. It's quite stuffy and old school, which might not be to everyone's palate. Excellent restaurant, exceptional service and fantastic meal. We were celebrating my husband birthday and cake for the Sunday lunch offer with bottomless Prosecco. We asked for a table in the window which we got. The Sunday menu has an excellent 3 course choice. We had prawn cocktail and salmon starter, roast beef , delicious deserts. Prior to the starter we were brought delicious choice of different breads plus as birthday surprise delicious choice of canapés. Our meal was cooked to perfection and our waiter and all went out of their way to make sure we were catered and happy throughout. At the end a selection of 6 petit fours was brought out along with the most delicious big birthday cake with my husband name on it. Truly wonderful surprise and must thank Andrew and Mario who made our experience exceptional. This restaurant is a gem in London , the layout is very comfortable and service excellent . It also has a nice bar and outside terrace. Music in the week. We highly rate and will be back . Excellent service with the staff going out of their way to give us table we wanted by the window. The service we received was excellent and the food and drink superb. 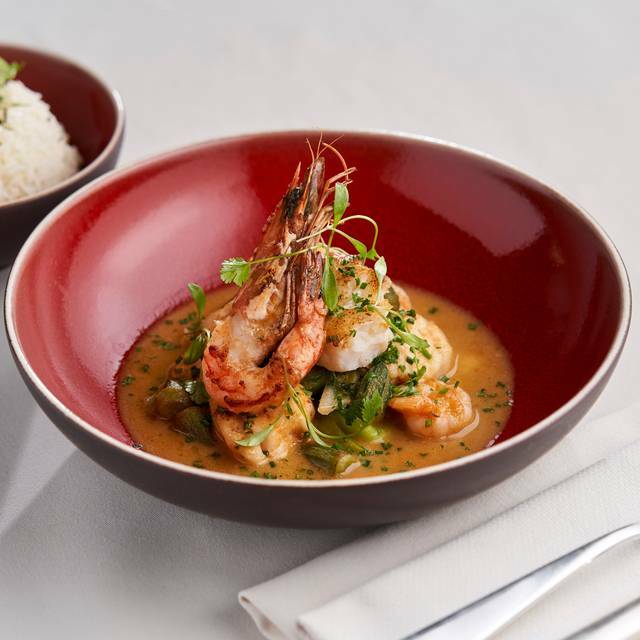 The 2/3 course meal offer is excellent value and includes a glass of champagne. We had the signature cocktail which gave us a choice of cocktails which were excellent. The glass of champagne which followed was Laurent Perrier. This was accompanied by a choice of excellent bread rolls. We had the prawn cocktail as a starter which was delicious and beautifully presented. Followed by Parmesan crusted chicken which was delicious. Unfortunately we were too full to eat a desert but the choice was excellent. At the end of the meal we were given a lovely choice of chocolates and also a bag of chocolates/mini Marshmallows to take away. The restaurant also has a lovely bar and jazz band who were very good. Importantly the sound level was such that it did not interfere with our conversations . Overall this is an excellent restaurant which we are great fans of and will be back. We cannot rate this high enough . Don’t let the name or the fact it’s in a hotel dissuade you from dining here. This restaurant stands on it’s own and hits all the high notes perfectly without being too fussy. It’s a welcome retreat away from the Knightsbridge madness, and not as expensive as I was expecting. Live dinner jazz on the weekends adds to the overall ambience. Great steaks, cocktails, and reasonably priced wine list. I will definitely be returning next time I’m in the area. A great evening at the Rib Room. Food was perfect and staff were attentive and caring to us. Still outstanding although the prices have risen.......! Overall it was a very nice evening. Food was good. The rib and Yorkshire pudding was very good. The wine was also quite good. But the rest while good did not wow. The entire staff was top notch. We enjoyed the conversation we had with our servers Andre and Christina. Maître d’ and the chef also dropped by to ensure everything was to our liking. We received a small parting treat as we departed the restaurant. Will come back if we ever visit London again. We've stayed several times at the Jumeriah Carlton, and on our most recent mid-week visit our room had a fascinating book that described the history of the hotel, and the section on the Rib Room piqued my interest so resolved to go back for Sunday lunch at the earliest opportunity. Whilst making the online reservation via the hotel, there were no slots between 1.30 and 2.30 so ate a little earlier that would have preferred, only to find that there were only a handful of tables occupied which was a little frustrating. Set menu at £60 per head not unreasonable for the quality of the food & service - but clearly (for us at least) a once in a while treat or special occasion destination. Roast beef was fabulous. Just wish we could have stayed to sleep off the lunch afterwards! The Rib Room has lost appeal, carisma and above all good food and service. Apparently had some issues with the new opening and during the years the quality of service and food has decreased. New floor staff is quite lost in providing proper service and the food is not whatvused to be, overall is not value for money however the ambiance and comfort is excellent. I wish they would improve food quality and service to bring back to the old splendor. Service and ambiance was excellent. Very attentive, beautiful dining room and bar. Very old world elegance and posh but thoroughly up to date and modern. The prime rib was good but not great i was expecting better-over the top ecperience based on menu description and ambiance. It was good, just average is what I am saying. There was not distinguishable difference between the large and small cut. Overall experience was outstanding and a great closing meal to our vacation.We enjoyed the relaxed evening and would return and revommend it. Good Sunday lunch and 6 year old boy looked after well. We were surprised to see that after the restaurant had reopened post renovation that very little had changed. Maybe only the leather in the banquets has been updated. 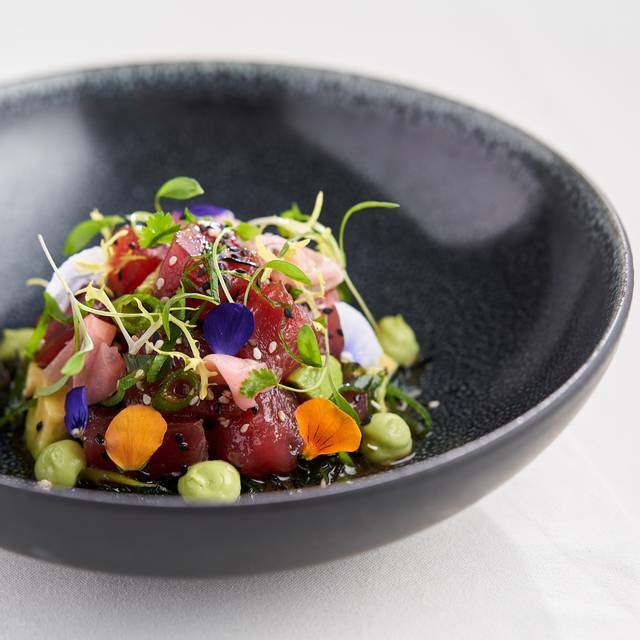 We dined on the OpenTable 3 courses from a set menu including glass of champagne for £34. We thought we'd start with a cocktail at the bar but the cocktail menu is limited and uninspirational with only about 8-10 on the list and all priced at £15. Add on 15% service and we decided to go straight to the table. The service at the Rib Room is still of a high professional standard. Well done. The menu wasn't exactly extensive prior to "the renovation" but it has been further dumbed down which was disappointing. The set menu was particularly poor for choice. The wines by the glass selection has also been reduced and you can no longer get a glass of Brunello. We had the beetroot starter which was ok but lacking in any flair. The main course of salmon was well cooked and generous in size. The chicken main was good and both main courses had very well cooked vegetables (probably the highlight of the meal). The desserts of Eton Mess or New York Cheesecake were embarrassingly bad. Oh dear, what is going on? The Eton Mess was pretty much just a pile of whipped cream and the Cheesecake was bland bland bland. Even the after meal petit fours have been dumbed down. We're guessing the Management are thinking that the guests won't notice that the menu and cooking have been dumbed down... but we have noticed! Recommended by a friend and worth the visit, the chowder starter was gorgeous as was the crab. Our steaks were cooked to perfection and the cauliflower cheese to die for! Super super freundlicher Service...persönlich und zuvorkommend!!! We booked onto the 2 courses for £29 deal which included a glass of wine or champagne. The champagne was Laurent Perrier and the red wine was of similar quality if not better (The Chocolate Block from Boekenhoutskloof). Our group had either the duck liver pate or the mackerel to start with. Both very tasty and beautiful presentation. Then the Aberdeen Angus beef. I asked for medium rare and it was cooked to perfection, nice and pink in the middle, delicious strong gravy on the side, tender greens, enormous Yorkshire pudding and the best roast potatoes I think I've ever had. It really was good, and so filling that we didn't manage puddings, but they still brought petit fours and a little bag of chocolates to take away. We arrived around 2145 and left around 2300 and it was moderately busy throughout. Sunday lunch at The Rib Room. 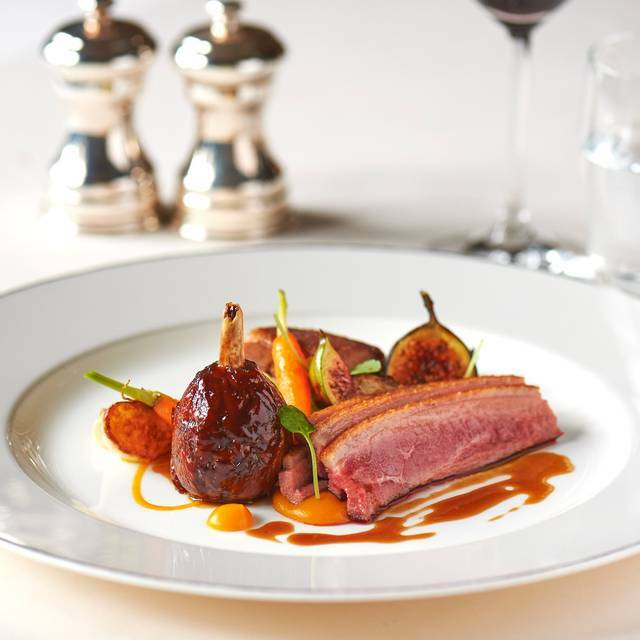 For the last 30years The Rib Room has been one if the best places to eat straightforward British cooking in luxury surroundings. The £60 three course menu together with one if the most expensive wine lists in. Londobn lets you know this is not for the faint hearted. So while the food and service were impeccable it feels rather like been served in a mausoleum. The old days of a piano playing at the bar helped create a relaxed atmosphere. Now it is as if the whole atmosphere has been sucked from the room. There is no theatre. 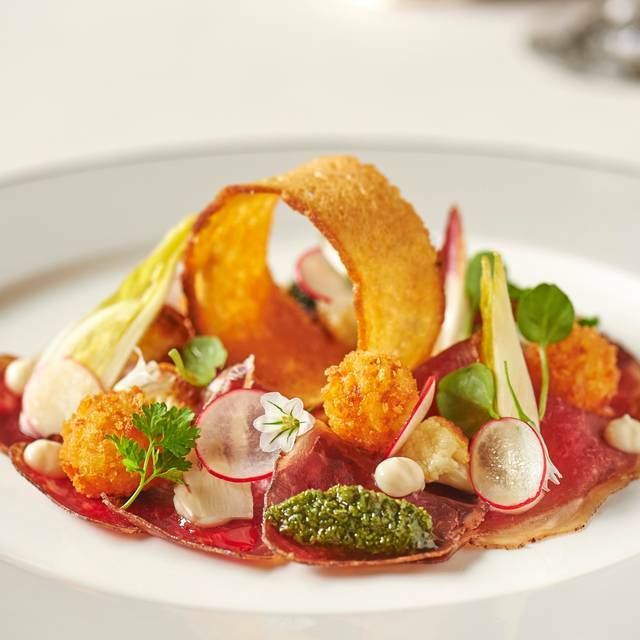 Great British food with a sumptuous Ribeye & delicious duck terrine. The live music was relaxing and entertaining while still being in the background.Attentive service. 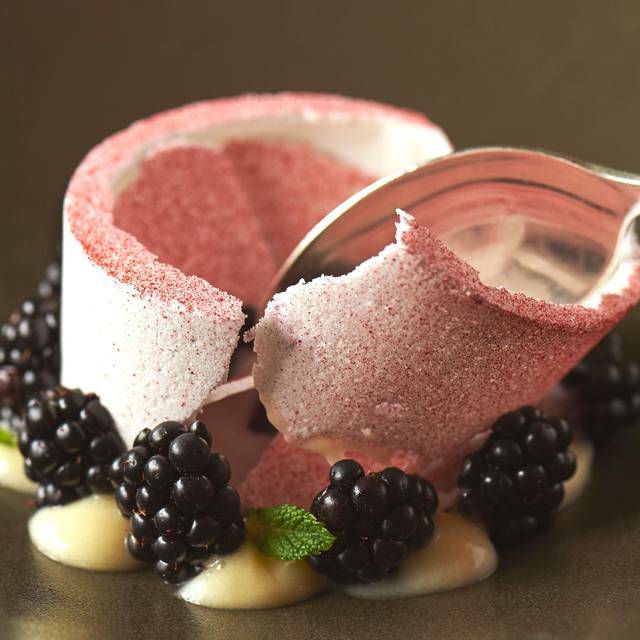 Great offer for 2 courses with a glass of Laurent Perrier for $29. Highly recommend. Service was very very professional and friendly at the same time. Food was good and arrived all together, despite the big group. Not the best value for money, but worth visiting any way. We will return and recommend. We had the 3 course offer which was nice but choices are very limited. Drinks are quite pricey, £8 small bottle of Peroni and £13 Vodka and tonic. As a group of 4 we were delighted that the Staff went out of their way to give us the table we requested and go out of their way to make our eventing absolutely special. We had the beetroot salad starter and Roast Beef with cauliflower cheese which was excellent. 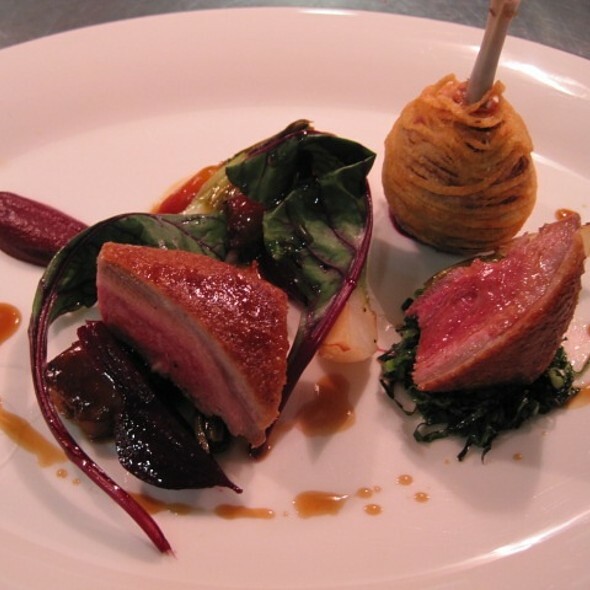 Quality, presentation, cooked to individual perfection and taste superb - could not be better. The meal was accompanied at beginning with delicious rolls and butter. At the end we were given fantastically delicious petit fours . The offer of 2 course set meal including champagne is excellent value and choice of food on menu great. The quality of food, ambience of place (in background was small band for entertainment) , outstanding service puts this restaurant on my list of favourites. Hence am gradually re-introducing friends and family back. We will be back . So pleased its reopened, same excellent friendly service and perfectly cooked quality food a great local always quality, nothing is ever too much trouble. If only all restaurants in London had staff this good. We will be back!